Our Firm has been painting window frames for many years. Whether your windows are single or multiple, whether your frames are made of aluminum or PVC, we have the solution to help you. A curtain wall is an exterior wall consisting mainly of windows, or rows of windows. They are often found in Montreal on corporate buildings such as office towers and skyscrapers, but also on condo buildings. The window walls are composed of three parts: the millions, the spandrels and the windows. Mullions are frames that hold windows in place and divide windows. Panels are horizontal or vertical lines between windows. At your request, our experts paint the coating (eardrums) and frames (millions), taking care to protect your windows. Curtain walls are often made of aluminum for commercial buildings and PVC for residential buildings. Contrary to popular belief, aluminum and PVC are materials that can be painted. We usually use 100% acrylic paint for this kind of projects. This paint is not only very adherent on most surfaces, but it is also more malleable and resistant to the weather: it does not crack under the sun or the frost. When conditions permit, the spray paint method (also known as “spray painting”) is a priority. Do not worry, we take the time to properly cover your windows to protect them from droplets and paint slides. If you can not use a sprayer, you can choose to use brushes and rollers. Unfortunately, in the greater Montreal area, many people improvise themselves as painters without having the tools that would allow them to do a high-quality painting job. 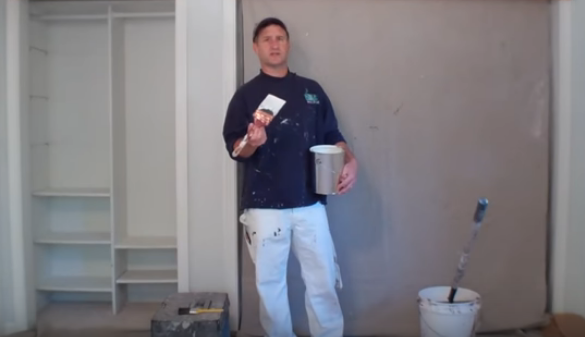 How do you know if your house painter will do a good job, up to your expectations? A good hint is to ask him what tools he uses. Here is a list of the essential tools of the professional building painter. To be a good house painter, it is not enough to have a CCQ skill card, to master certain techniques and to have a lot of willpower; some tools are essential for painters who want to do quality work. The paint sprayer, commonly known as a paint spray gun or paint gun , is the preferred tool for almost all exterior painting projects. It lets us do the job fast, and it gives nice results. 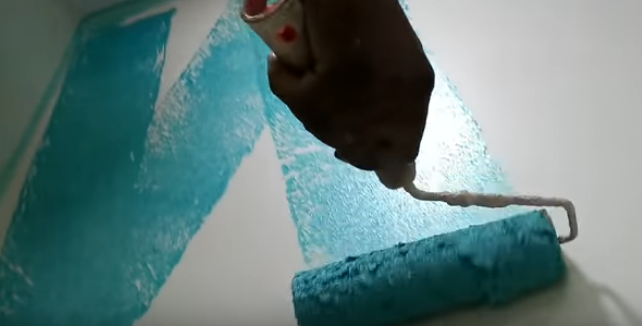 However, the paint sprayer is very expensive: it sells between $ 2,000 and $ 10,000 depending on the type of gun you need (without air or large caliber), the type of paint used and the size of your project. A pressure washer is an essential tool for painting outdoor surfaces. Often, the exterior walls need to be washed as they accumulate dust, old peeling paint, stains of lime or other dirt caused by acid rain. Inner painting, on the other hand, will not require surface washing since these are usually clean enough for the new paint to adhere well. However, we recommend scrubbing ceilings that have been yellowed by cigarette smoke or blackened by other chemicals. Pickling, sandblasting and scraping is used primarily on the exterior surfaces of metal and wood. For PVC, often pressure deep cleaning and manual scraping will be sufficient. Masonry is generally not required unless there is a major defect in the starting surface. 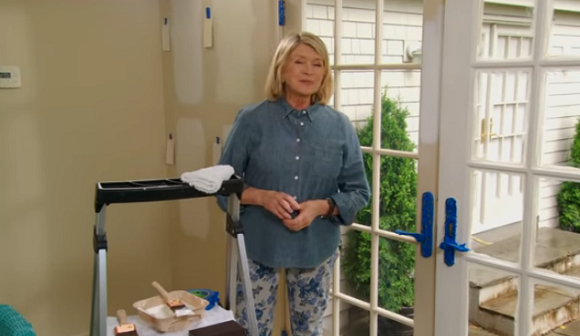 There are tons of brushes and rollers on sale in all hardware stores. We buy his brushes and rolls directly from Benjamin Moore. I advise you to go there and ask your questions to the clerk. Personally, I prefer 3-inch PolyMaster angular paintbrushes. I explain why here . For rolls, I mostly use Nour’s 13 mm thick rolls. To learn more about the differences in use of Nour rollers, click here . Not all painters offer the service of exterior painting in height. However, if you require to have a cornice, soffits, lintels, a roof, or a wall of more than one floor painted, it will be necessary to have access to a lifting platform. Wearing the safety harness is also mandatory at all times, and wearing the construction helmet is required in some cases. Obviously, an experienced painter does not use a single kind of painting. He must know the existence of a wide range of products and know which ones to use for which project. The most common products used by the house painter include: plaster, stucco, caulking, latex paint, acrylic paint, paint primer, interior paint, exterior paint, anti-corrosion paint etc. There are also different finishes (matte or glossy) for each interior paint. Our professional painters have an excellent knowledge of the different finishes and they use the best paint products on the market. Use a team of certified building painters for quality results!